I was in such a hurry before Christmas to get ready for my exhibition I didn’t have much time to blog. I forgot to publish this watercolour which I was very happy with. It was sold very easily, liked by many which made me happy. 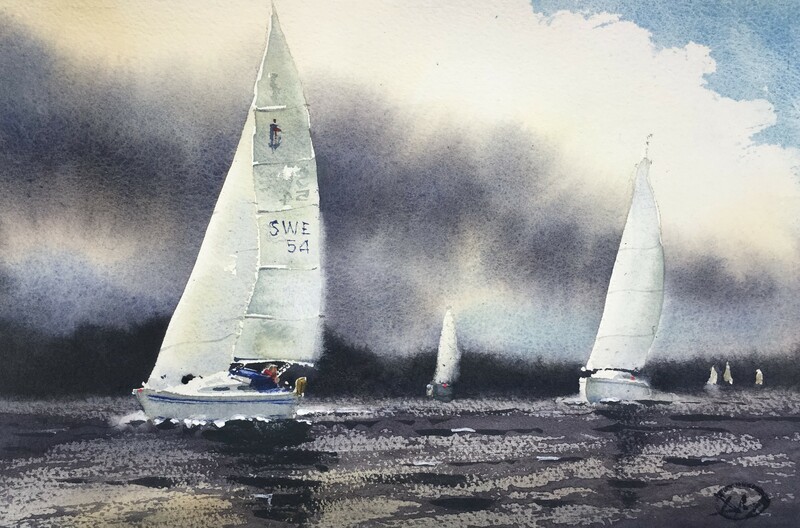 Author meldrumPosted on 2017/01/28 2017/01/28 Categories akvarell, watercolor, WatercolourTags akvarell, archipelago, sailing boat, seglebåt, skärgården, watercolor, Watercolour2 Comments on A watercolour from 2016.